The City of Winnipeg now plans to install driver-safety shields on Winnipeg Transit buses within a year. Winnipeg is poised to spend $3.15 million installing safety shields on all buses. Council's executive policy committee (EPC) voted unanimously Tuesday to spend $3.15 million installing shields on all 630 Winnipeg Transit buses — and have all the work done by the end of January 2020. Earlier this month, transit officials suggested a three-year timeline to conduct the work. Council's public works committee, however, voted to amend the plan to require the work to be completed in 18 months. At the public works committee, councillors Jeff Browaty (North Kildonan), Devi Sharma (Old Kildonan) and Vivian Santos (Point Douglas) voted to install the shields more quickly, even if that incurs more labour costs for the city. Browaty said transit drivers have been eager to see safety improvements since the killing of Irvine Jubal Fraser on the job in 2017. Committee chair Matt Allard (St. Boniface), however, voted against the new time frame, arguing the decision should be determined by the budget process, which is led by Brian Bowman and council finance chair Scott Gillingham (St. James). On Tuesday, Allard got his way— but also sped up the installation of the shields even more. He amended his own committee's decision to require the funding decision be made during the budget process. His motion also stated a target date of completion as being one year from a final council vote on the plan, which is slated for Jan. 31. 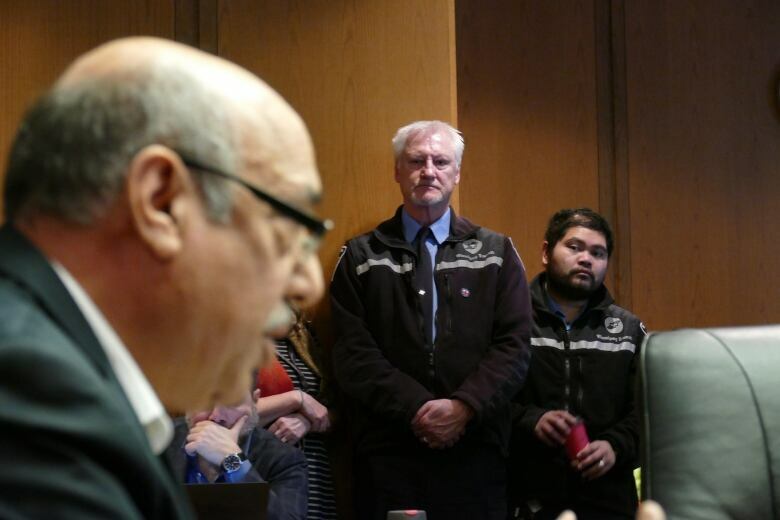 Aleem Chaudhary, president of the Amalgamated Transit Union Local 1505, told EPC the shields would reduce a majority of the assaults on Winnipeg bus drivers. He expressed gratitude for the committee's decision. All city councillors have been invited to a closed-door seminar about transit safety on Jan. 30, one day before the council vote.